6 rolls of PayPal branded 2" white kraft paper tape, 50mm x 25M. This tape is 100% recyclable with a great presentational feel on boxes. 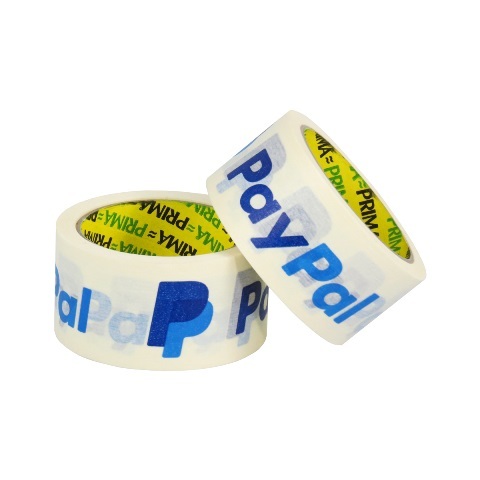 This is the only low-cost eco-friendly tape solution available to SME's on the market (other than gummed paper tape, which requires machinery to use), hence PayPal have chosen to make this tape widely available to all their customers, as part of their environmentally friendly focus on packaging materials. The tape has two colour branding, enhancing confidence to your customers and giving your items an excellent presentational feel.